Men, please read this: The quality of the rest of your life may depend on it! 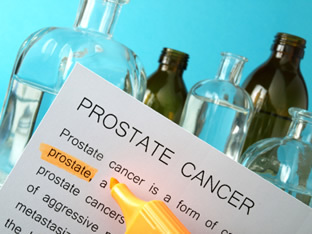 I've repeatedly advised my patients and readers against conventional aggressive therapy for prostate cancer. I've repeatedly said the treatment is far worse than the disease, and that you're more likely to die by other causes. I've repeatedly warned against PSA screening. Now, the largest study to look at this issue since PSA testing became popular agrees with me. Grace Lu-Yau is a cancer epidemiologist at the Cancer Institute of New Jersey. She presented her findings at the February 2008 meeting of Genitourinary Cancers Symposium in San Francisco. Her study looked at the natural history of the disease based on a PSA-associated diagnosis. She found that PSA can diagnose the cancer from 6-13 years earlier than other methods. Lu-Yau and her colleagues looked at data on more than 9,000 men with stage I or II prostate cancer who chose to forego treatment. These men were diagnosed between 1992 and 2002. Their average age was 77 years. She found that 72% of these men died of other causes or didn't have enough cancer progression to warrant surgery or radiation! How about the remaining 28% (2,675) who did receive treatment? The median time between diagnosis and start of therapy was more than 10 years. That means they were spared 10 years of incontinence, sexual dysfunction, feminizing hormone blockade, or worse. Of course, men with less aggressive disease survived longer than those with more aggressive tumors. However, the conclusions of her study are telling. She said: "For elderly men with localized prostate cancer, the potential survival benefit for treatment is most likely modest. Therefore, it is very critical to weigh the risk of having side effects of various treatments with the risk of developing cancer-related complications down the road," Lu-Yau said. "The majority of patients will die of other causes or remain alive without significant major complications." Please read that last statement again. Even the self-serving American Cancer Society responded appropriately to this report. Dr. Otis Brawley is the ACS chief medical officer. He says, "It (the study) may persuade some middle-of-the-roaders that we are over-treating this disease," and that PSA testing may be amplifying the problem. Wow! What an admission from the ACS itself! This should be a huge lesson for us all. We all get cancers, ALL OF US. Yet most of us still don't die of the disease, even though we aren't receiving toxic therapies. Yet most people who do get toxic therapy do die of the disease. Why can't the medical mob see the forest for the trees? Most cancers are contained by a healthy body. Disrupt that body with poison or a knife, and you pave the way for bad things to happen. For those destined to die by the cancer, it is most likely too late to treat. The cancer was already spread at the time of diagnosis and/or was destined to defeat the host's immune system. The mob should be rewriting its whole idiotic cancer-treatment paradigm. But that will never happen as long as more people make their living off cancer than die from it, and the corporate bottom line is more important than your life. Please use this report to rethink getting a PSA done. If elevated, you could be cajoled into getting a biopsy and treatment that won't statistically make a hill of beans of difference. Instead, treat the high PSA as a warning sign for inflammation and follow my guidelines for reducing your PSA. It starts with your diet. But you also need to take the right nutrients, such as those in ProstaSecure, to help reduce the inflammation.